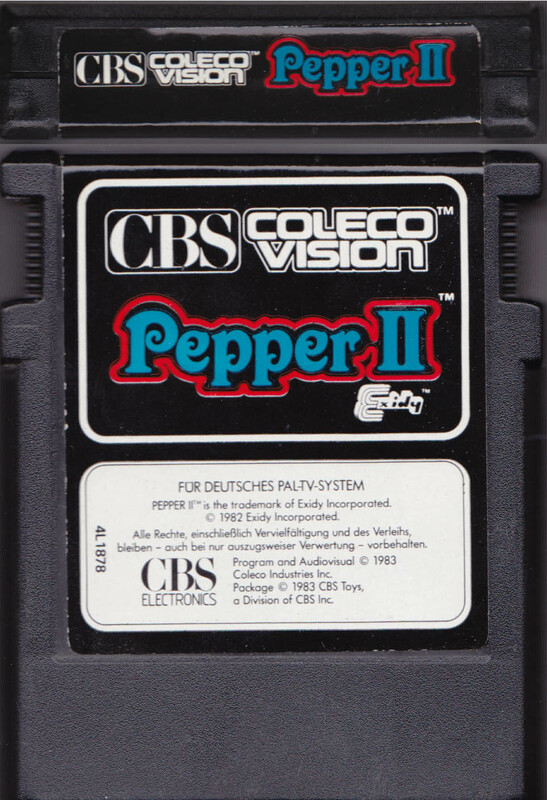 Package, Program & Audiovisual ©1983 Coleco Industries, Inc.
Alle Rechte, einschließlich Vervielfältigung und des Verleihs, bleiben – auch bei nur auszugsweiser Verwertung – vorbehalten. 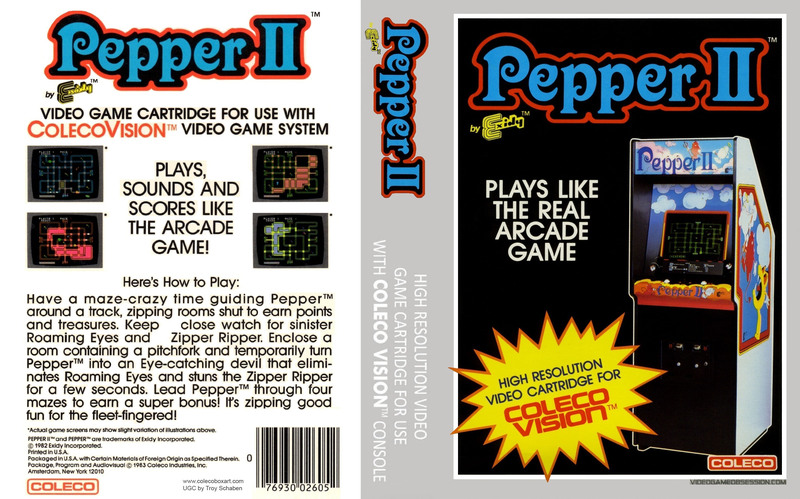 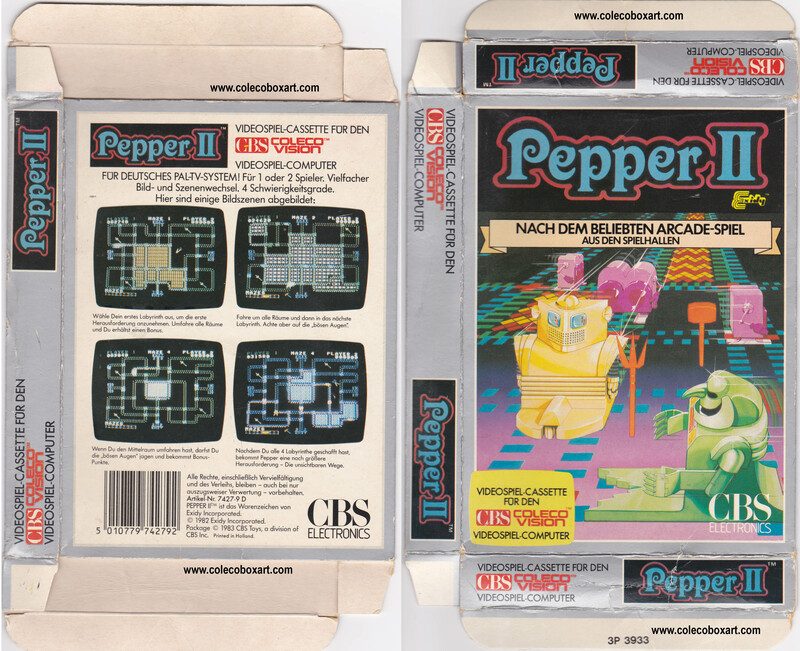 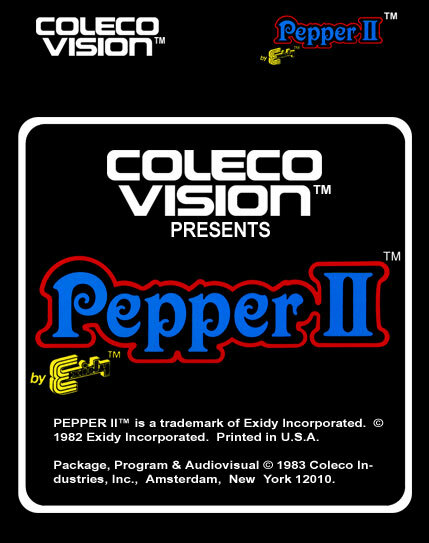 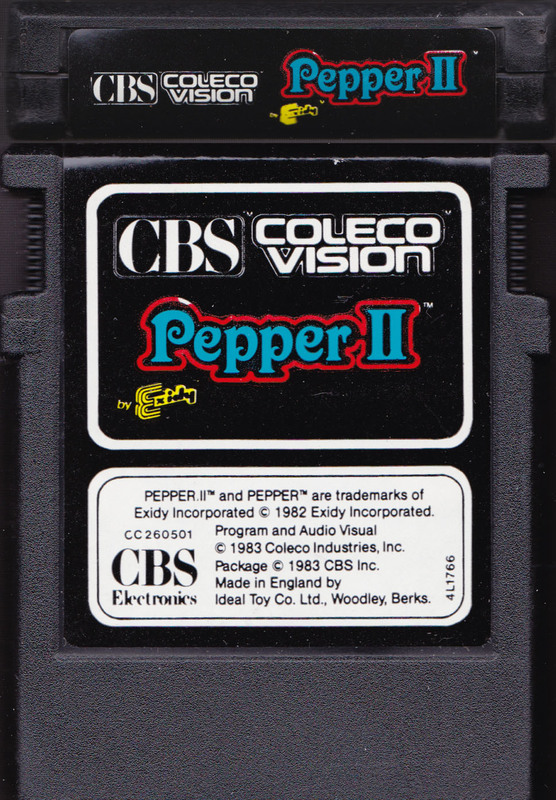 PEPPER II™ ist das Warenzeichen von Exidy Incorporated. 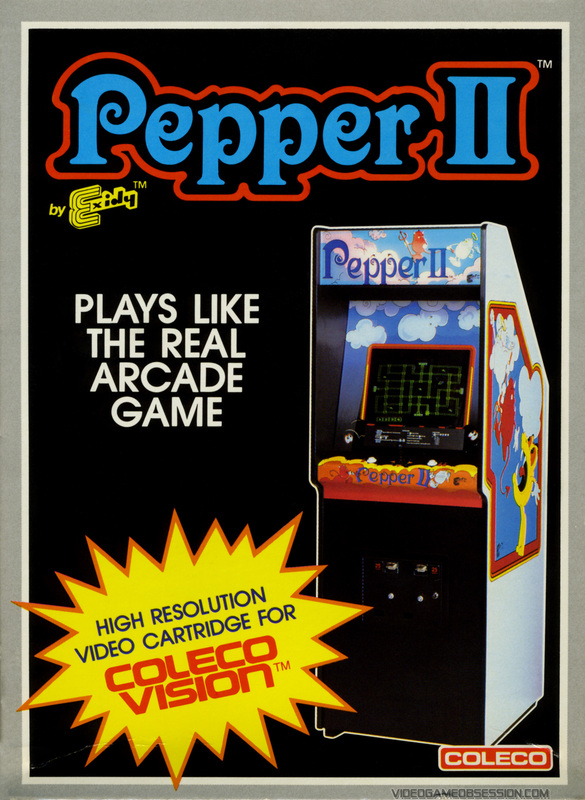 © 1982 Exidy Incorporated. 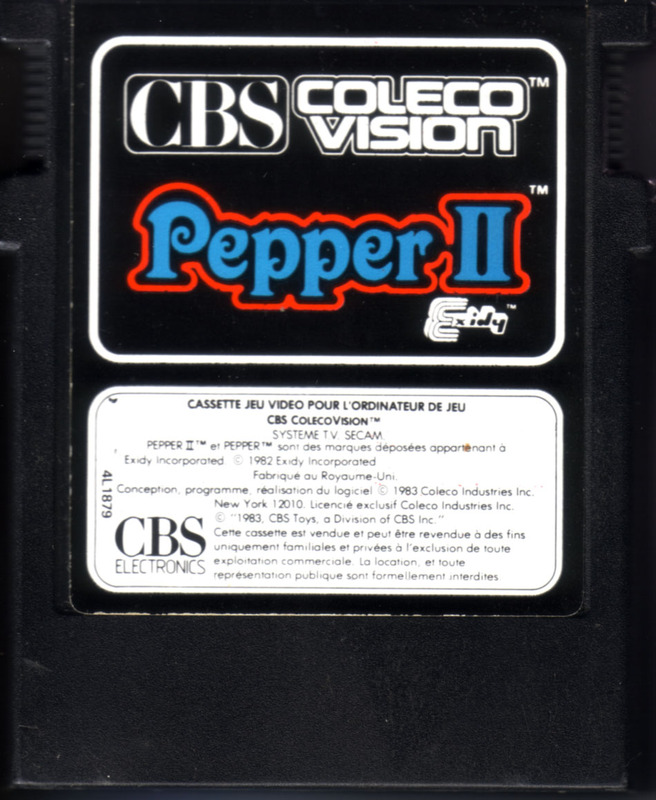 Program and Audio Visual ©1983 Coleco Industries, Inc.
Package © 1983 CBS Inc.,15 Blue Street, North Sydney. 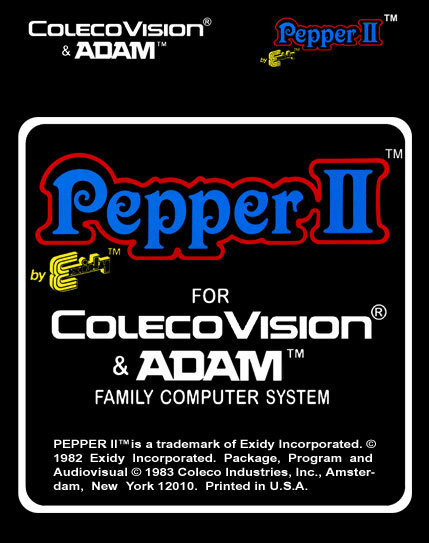 (incorporated in N.S.W. 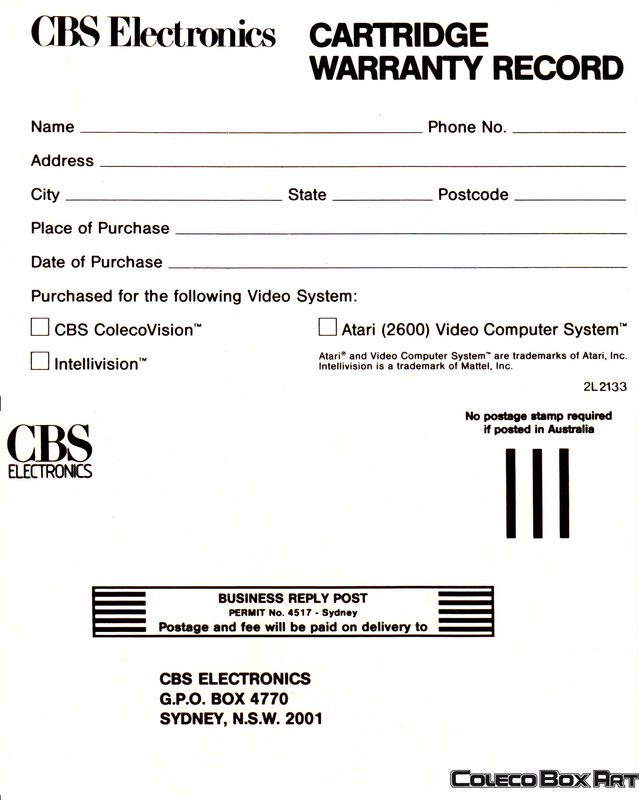 ), 15 Blue Street, North Sydney, N.S.W. 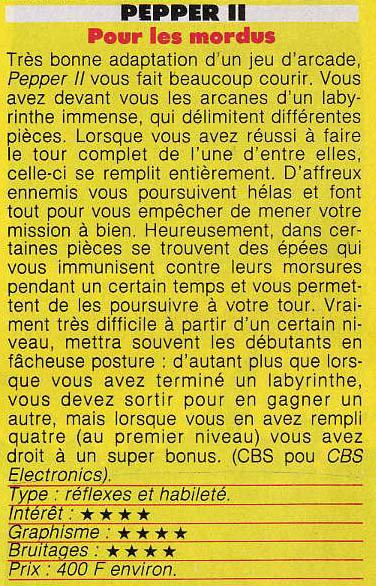 2060. 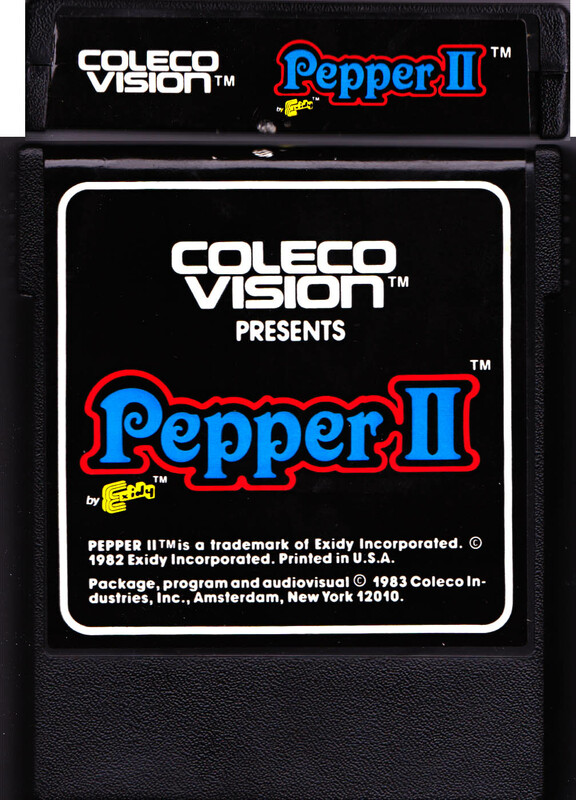 There’s plenty of fasten-ating action in Coleco’s Pepper II from Exidy. 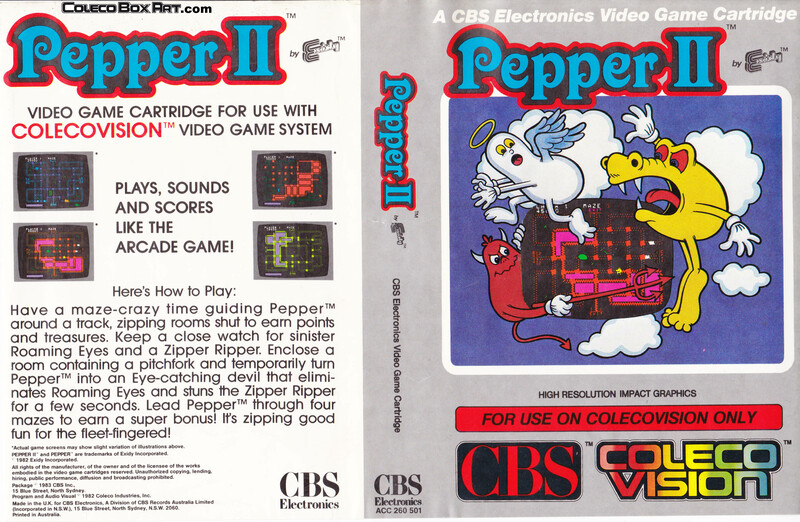 Guide your Pepper angel up the track. 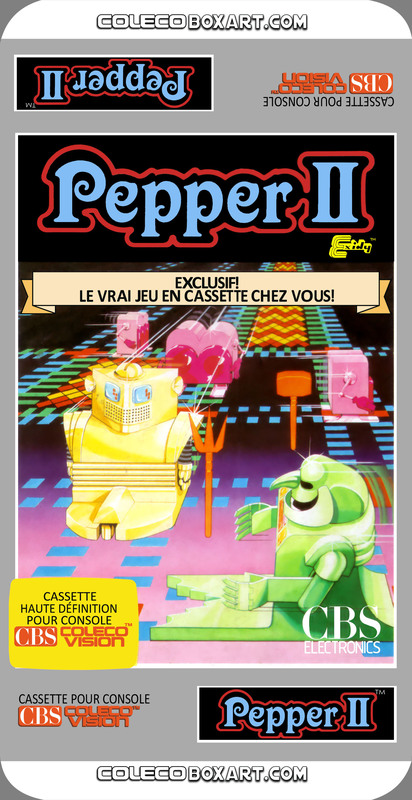 It’s like a zipper! 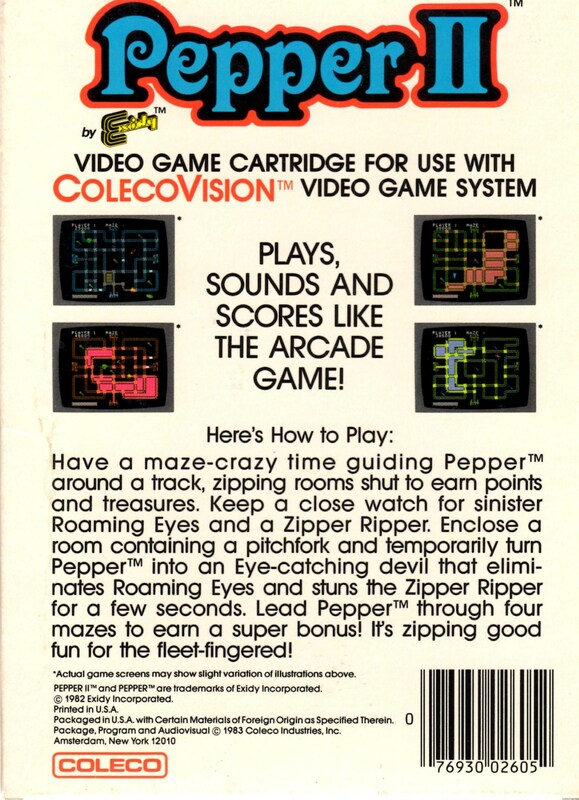 Zip all the tracks around a room, then zip an entire maze! 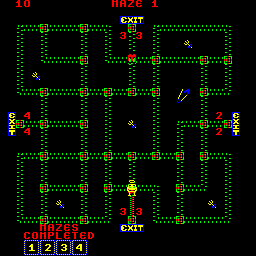 You can zip through four different mazes, then try four more, only this time the tracks can disappear! 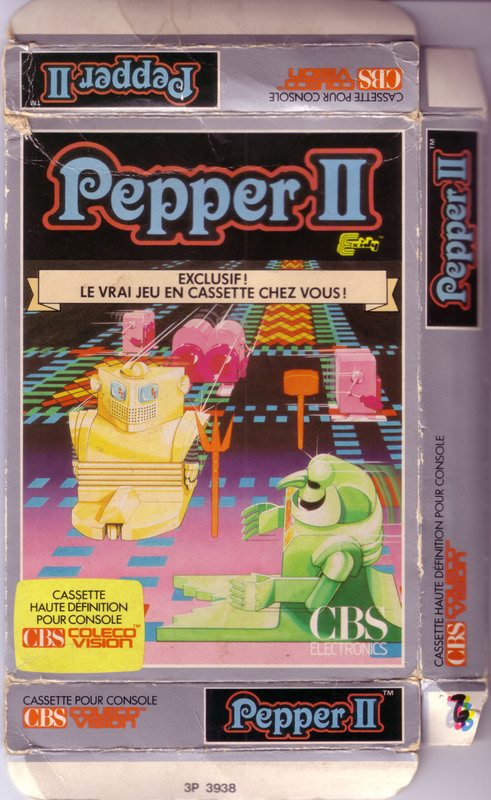 But Pepper II is still more tricky. 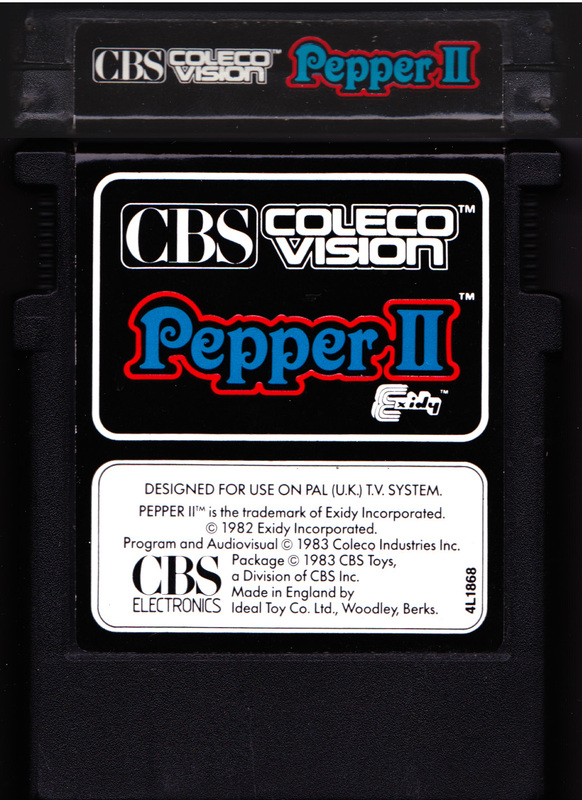 Roaming Eyes rush after you from every maze exit. 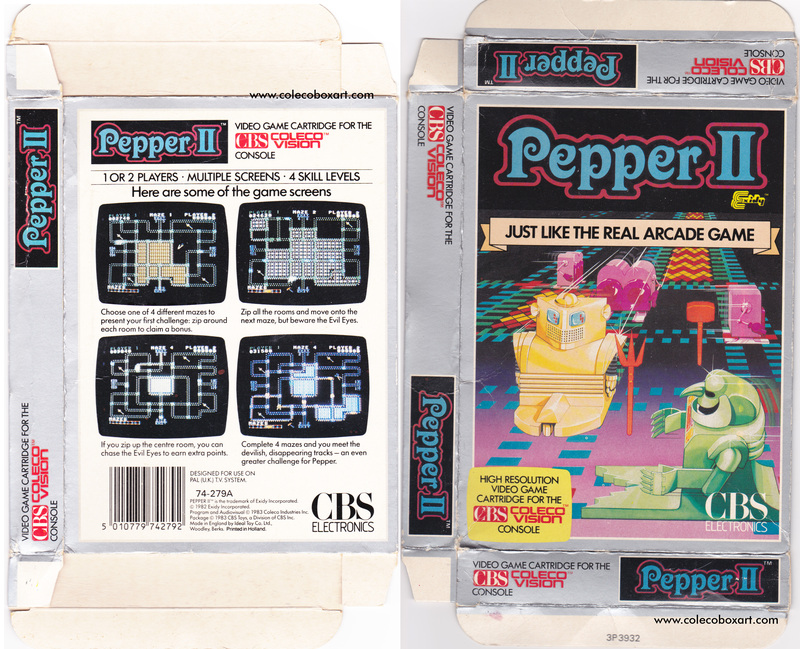 A zipper Ripper unzips all the tracks that don’t surround rooms. 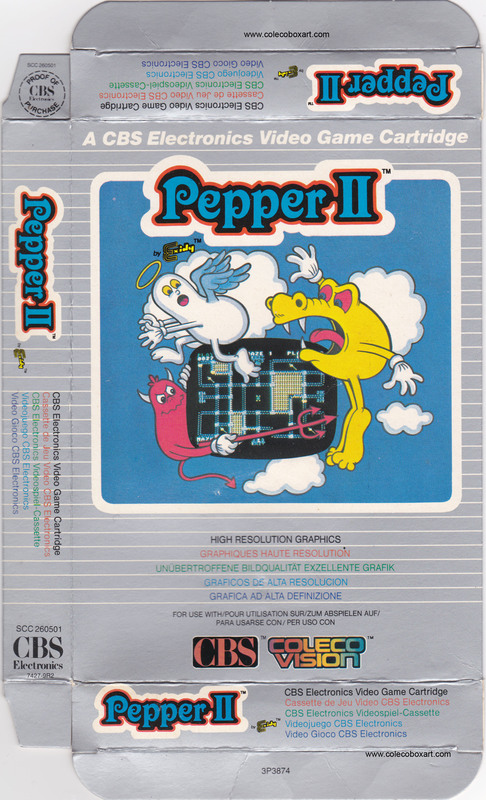 What’s a poor Pepper angel to do? 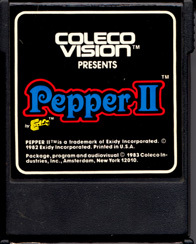 Enclose a room containing a pitchfork or a magic box and briefly change into an Eye-catching devil! 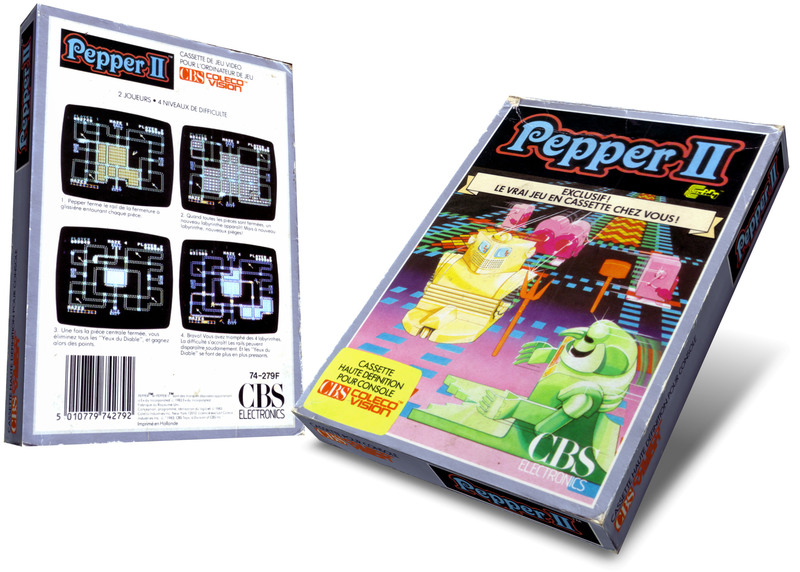 The fun can get only wilder as this crazy-maze game zips on! 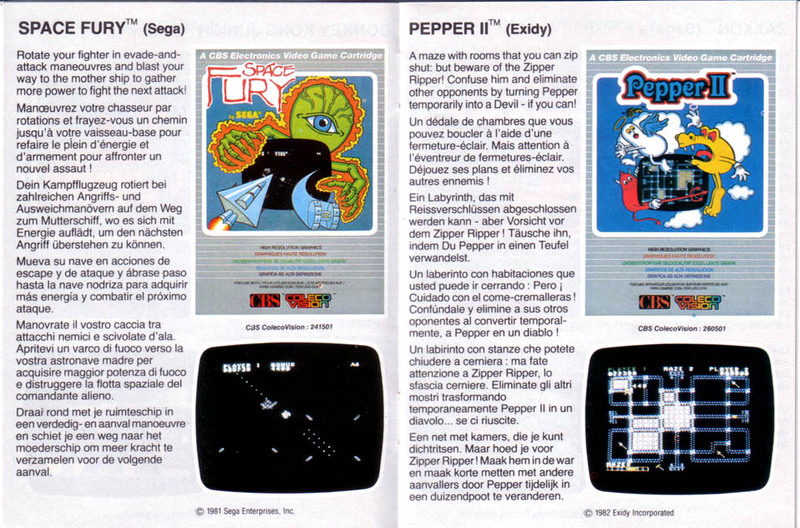 Port of Exidy’s arcade game released during June 1982. 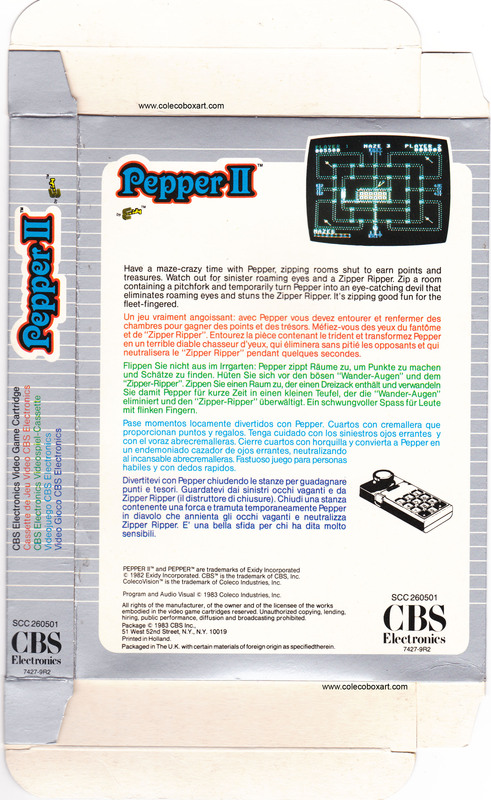 Despite its name, there was no predecessor named Pepper or Pepper I. 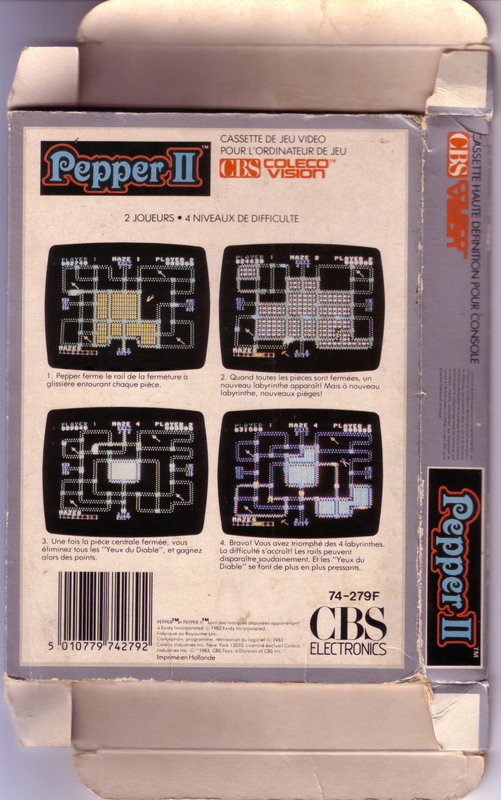 Its gameplay is similar to the game Amidar by Stern.